Automating the IT help desk in 14 hours flat! 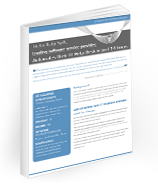 response times, reduce SLA violations and increase business opportunities. They got started with all this in 14 HOURS FLAT!!! We never knew the importance of IT help desk software until we got one, and got the right one. We chose ManageEngine and it has never disappointed us. Streamline your IT support on the cloud today!